The Premier Pet™ Treat Holding Dog Toy keeps your dog entertained by combining his/her favorite treat with a fun and durable toy. With its patented Treat Trapper™, you can secure any treat, such as biscuits, jerky or cheese sticks, and encourage your dog to chew and play longer. Leave the edge of the treat outside of the toy for your dog to reach easily or secure the treat completely inside the toy for more of a challenge. Smearable treats, such as peanut butter or cheese spread, can also be used. 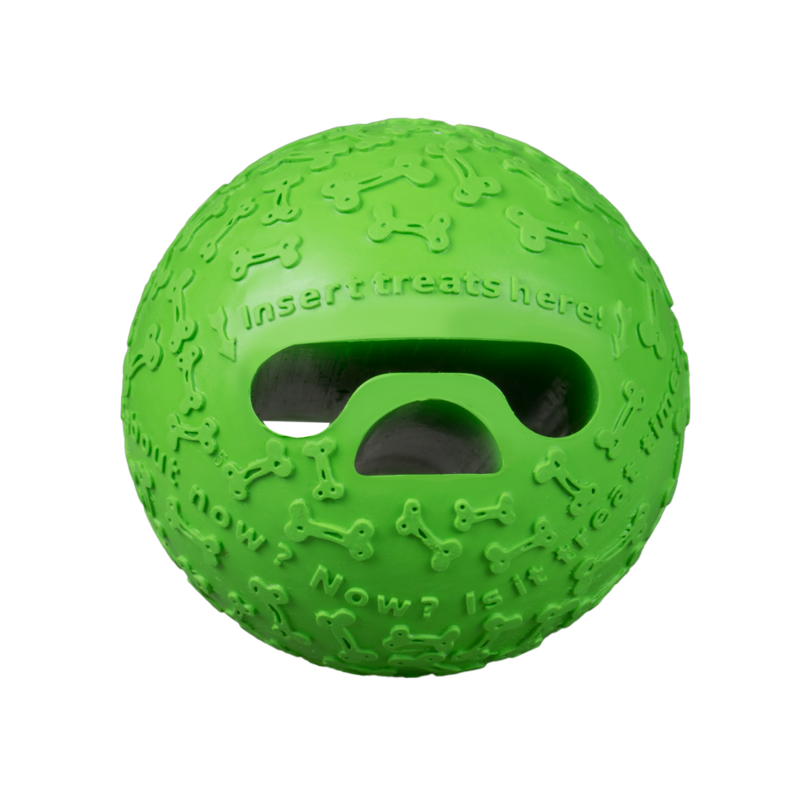 With its variety of treat options, this toy will keep your pet engaged and boredom free.